Very Vanilla Base 5 1/2" x 8 1/2" scored at 4 1/4"
Cherry Cobbler Mattes 5 1/4" x 4"
Stamping/Embossing Pieces 5" x 3 3/4"
DSP 3 3/4" x 2", 2 3/4" x 2 3/4"
DSP" 3 1/4" x 2"
Ribbon 5", Bakers Twine 8"
Cut one piece to 4" x 5 7/8"
Score on long side 2 5/8" & 3 1/4"
Glue tags on inside of each area. Cut 4 pieces 1" x 3" to cover 4 nuggets. Need a cute baby card? I used the same layout for my baby card as I used yesterday for my Christmas Gingerbread Man card. How is that for a versatile stamp set? Balmy Blue is the color card stock I used and a couple of pieces from the Subtles DSP 6 x 6 paper pack. 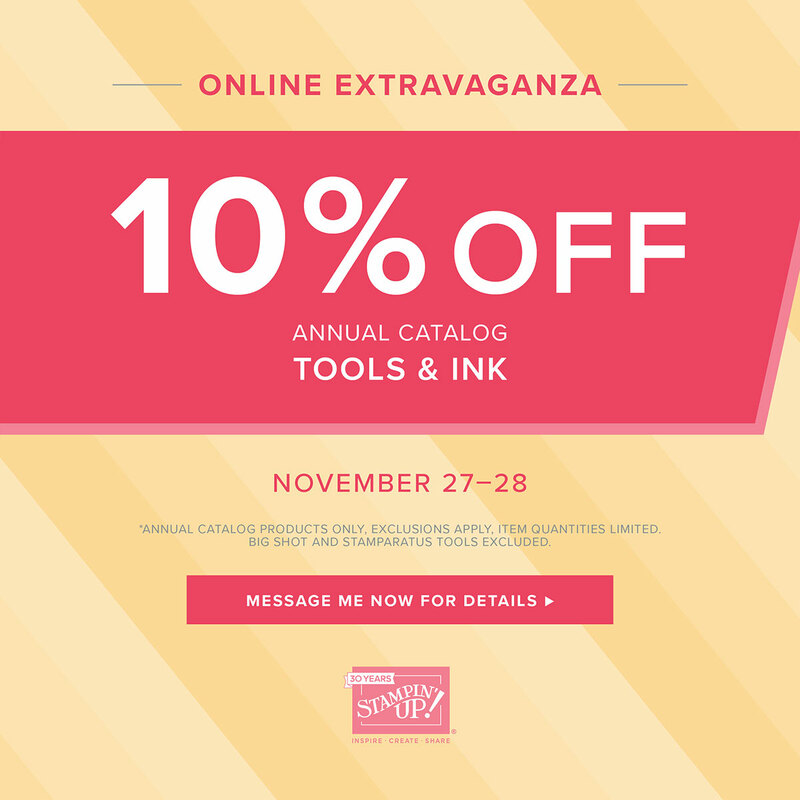 All the shopping details are below. ENJOY! 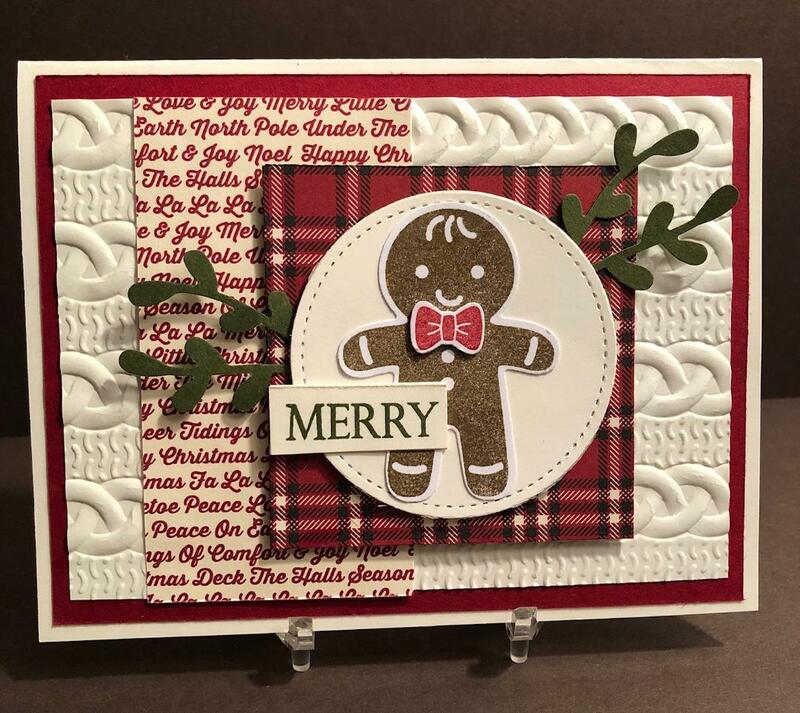 Today's card features an oldie but goodie Stamp Set; Cookie Cutter Christmas. It's so easy to create cards using this set because it has a coordinating punch. Accents of simple shapes from the classic Festive Farmhouse DSP and the Sprig Punch add interest and texture. Finally my favorite technique for any card is to emboss the background. I used the Cable Knit embossing folder. ENJOY! Here are the supplies I used to make today's card. 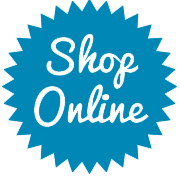 Click on Pics to shop on-line with me.